"John McEnroe always finds a way to win." Oscilloscope Labs has debuted the official, full-length trailer for a documentary titled John McEnroe: In the Realm of Perfection, one of the best documentaries this year so far, hands down. This first premiered at the Berlin Film Festival, and also stopped by Cinéma du Réel and Art of the Real. The film is made up entirely of footage recorded by a French filmmaker named Gil De Kermadec, in the 1980s when iconic tennis player John McEnroe stopped by to play at the French Open. With narration by Mathieu Amalric. It's an incredible, exhilarating, fascinating combination of tennis and cinema. I wrote in my positive review: "This film is such a wonderful discovery and it's entirely entrancing, not only for cinema lovers, but for anyone who enjoys sports and the art of physical performance." I really love this doc and have been recommending it to as many friends as I can. Exploring cinema through tennis. 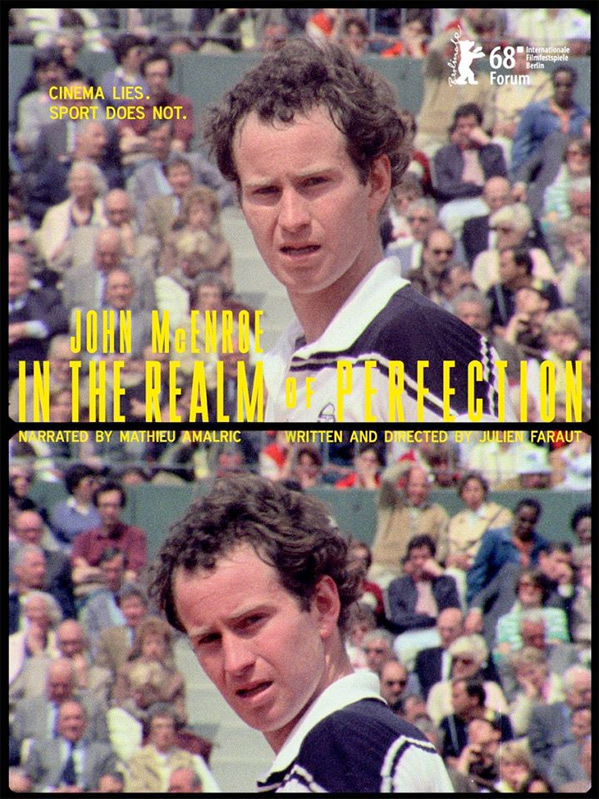 Julien Faraut's film John McEnroe: In the Realm of Perfection revisits the rich bounty of 16-mm-shot footage of the left-handed tennis star John McEnroe, at the time the world’s top-ranked player, as he competes in the French Open at Paris’s Roland Garros Stadium in 1984. Close-ups and slow motion sequences of McEnroe competing, as well as instances of his notorious temper tantrums, highlight a ”man who played on the edge of his senses.” Far from a traditional documentary, Faraut probes the archival film to unpack both McEnroe’s attention to the sport and the footage itself, creating a lively and immersive look at a driven athlete, a study on the sport of tennis and the human body and movement, and finally how these all intersect with cinema itself. 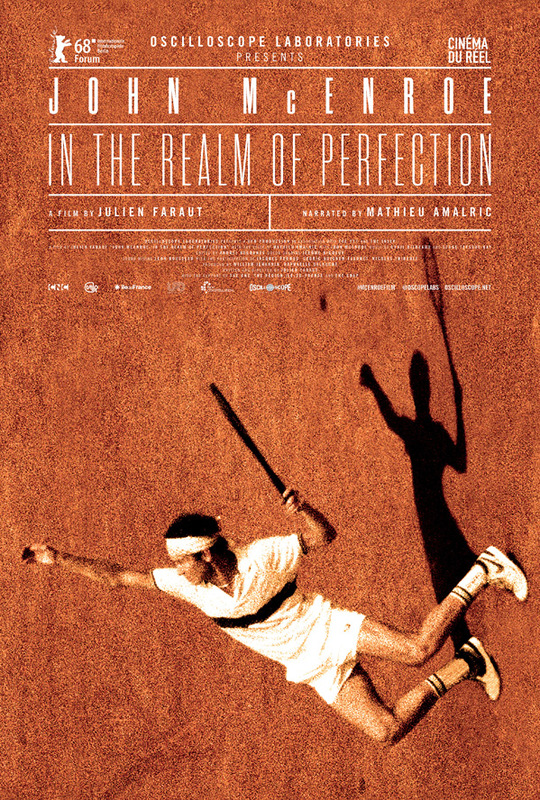 John McEnroe: In the Realm of Perfection is directed by French filmmaker Julien Faraut, of only the other doc Un regard neuf sur Olympia 52 previously. This first premiered at the Berlin Film Festival earlier this year - read our review. Oscilloscope will release Faraut's In the Realm of Perfection in select theaters starting on August 22nd next month. Who's excited to see this?